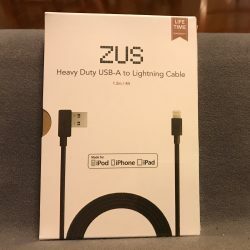 REVIEW – Julian Perry and I have been on a quest to find a great pair of Bluetooth earbuds and I’m not sure which one of us will finish our quest first or even there’s even an end in sight since new earbuds are coming out every day and it’s too tempting to try yet another pair. 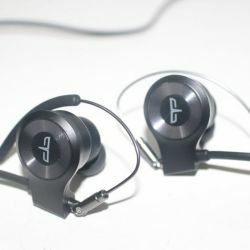 The latest pair that I’ve been testing is the Ascent Micro true wireless headphones from Rowkin. Let’s check them out. 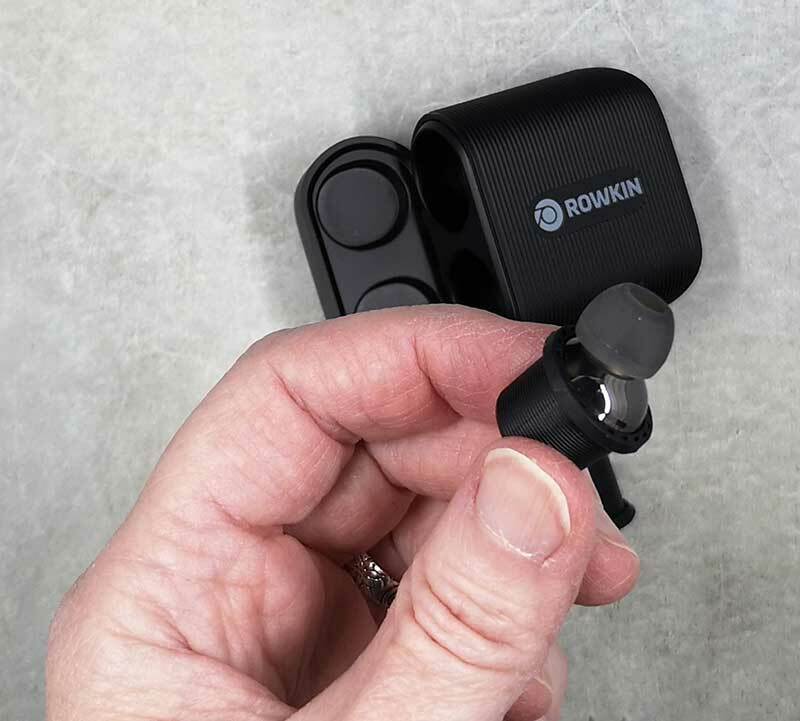 The Rowkin Ascent Micro is the latest Bluetooth headphones from Rowkin and the 4th pair of wireless headphones that I’ve tested from this particular company. 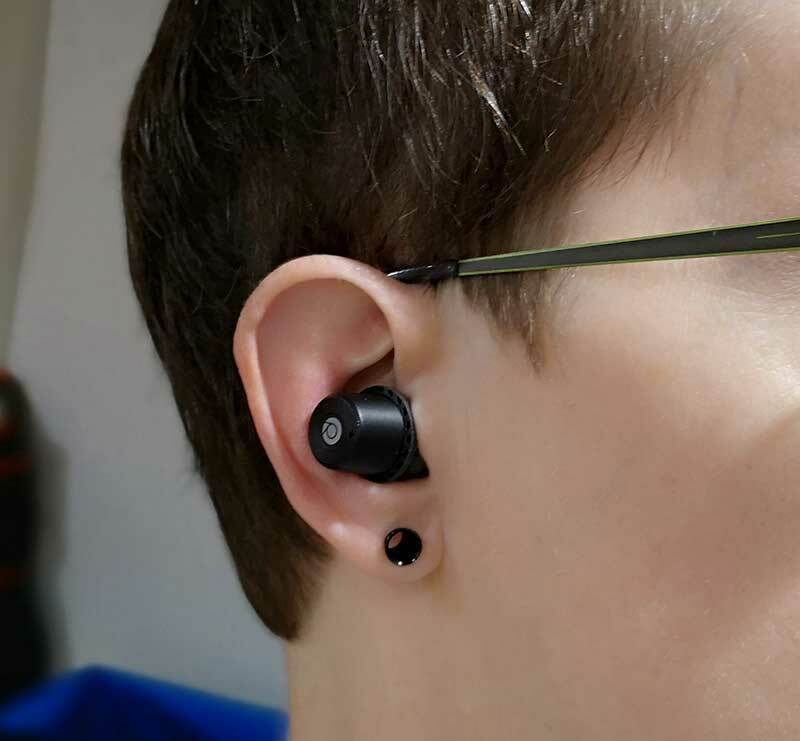 From their Bit Charge earbuds that I reviewed back in 2016, I have been interested in this form factor but wasn’t impressed with the way they performed. 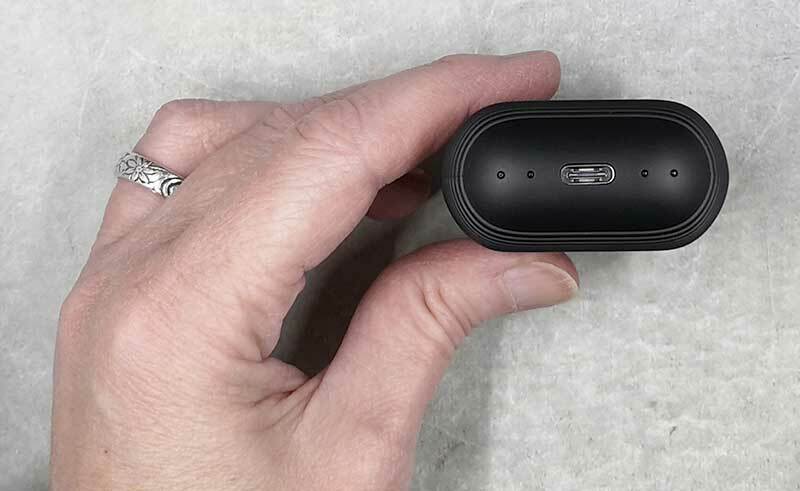 Then more recently I reviewed their Micro Touch earbuds and again, I wasn’t impressed… But now I have their latest Ascent Micros and… well… you’ll see as you read on. 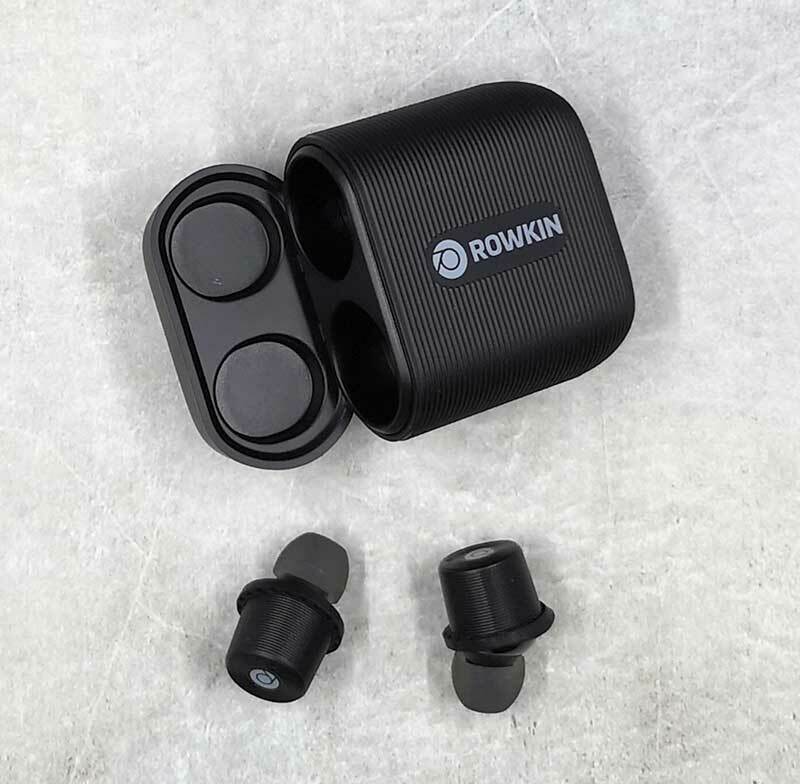 The Rowkin Ascent Bluetooth earbuds are available in 2 versions. There is the Micro version that was sent to me and shown above, and the Charge version. What’s the difference? The style of the storage container. 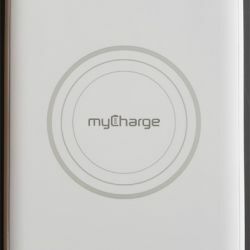 The Ascent Charge has a long storage case that doubles as a power bank and charges wireless on a Qi wireless charger. 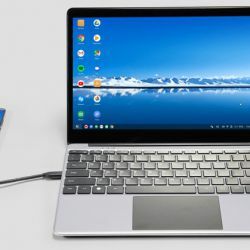 The Ascent Micro which I have has a storage case with a built-in battery that charges the earbuds using a USB-C cable. 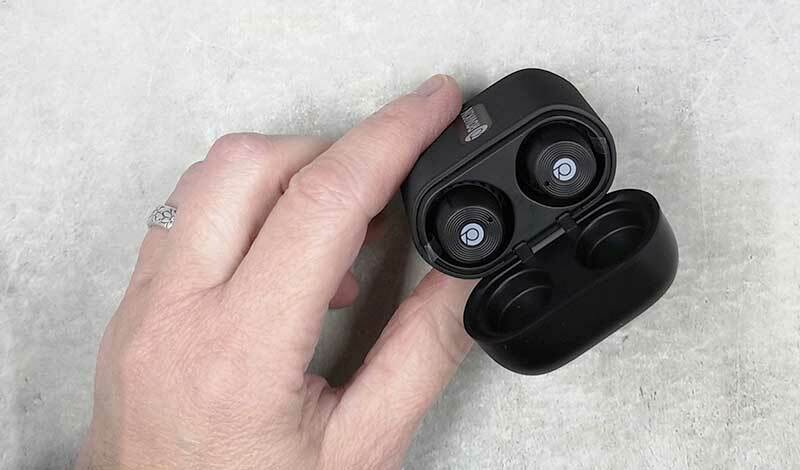 Available in black, slate, or cobalt blue, the Ascent case has 2 slots that the earbuds snap into via a magnet that holds them in place. The earbuds have a bullet shape like previous Rowkin earbuds that I’ve reviewed, but the eartip is angled to better fit in your ear canal. Compared to the other three Rowkin buds that I’ve tested over the years, I think the Ascent earbuds have a more premium feel. 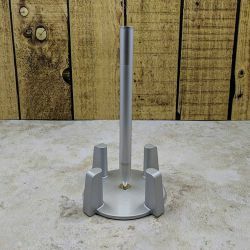 The Ascent buds also have a silicone ring which Rowkin has named the Retention Wheel. This wheel is supposed to provide a more ergonomic fit and to aid in keeping the earbuds in your ears. The Retention Wheel can be removed if desired. I haven’t noticed much of a difference with the fit and the wheel installed or removed. The earbuds fit me fine either way. But of course, everyone’s ears have a unique shape. 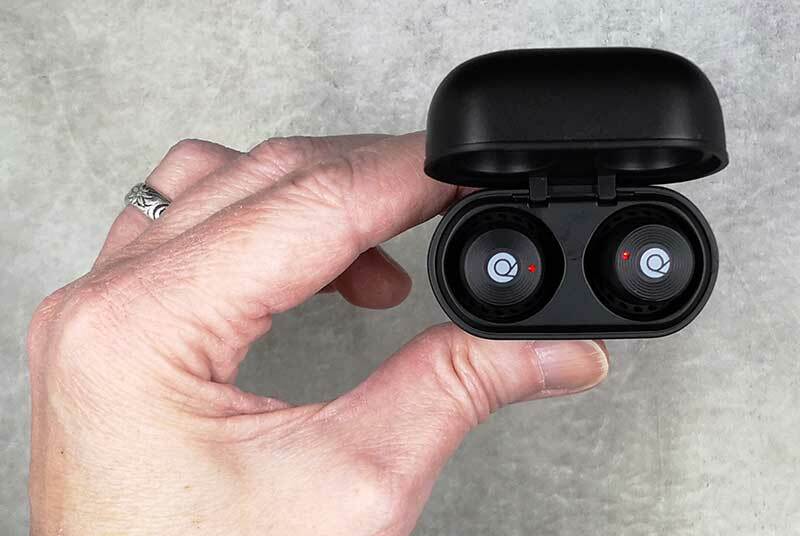 I will say that the Rowkin Ascent earbuds are the most comfortable truly wireless earbuds that I’ve tested so far. I have no problem leaving them in my ears for an hour or two at a time and have experienced zero discomfort with them. The fit for me isn’t perfect though. I’ve had the earbuds fall out of my ears during workouts where I was moving around a lot. But wearing them while sitting at a desk has been perfect. 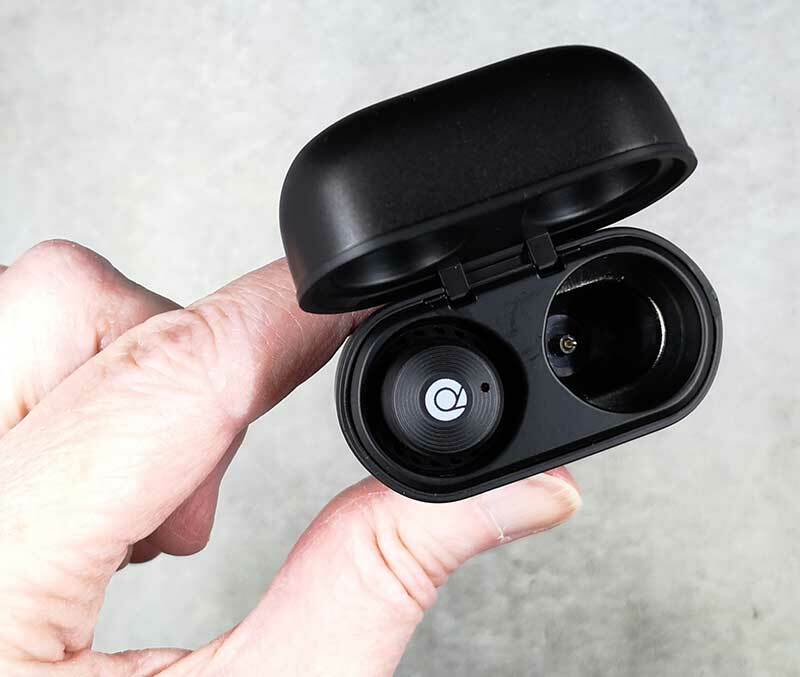 The Ascent earbuds charge in the included flip-top case. There’s a pin in each slot that plugs into the earbud when they are seated in the slot. You will know that charging has begun when you see the two tiny LEDs on the earbuds throb red. 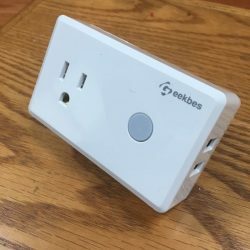 When the LEDs turn off, that means the earbuds are fully charged. On the bottom of the charging case are two LEDs on either side of the USB-C port. These LEDs provide a battery capacity status for the case. The instructions tell you to gently shake the case so the LEDs will light up but that didn’t work for me. To see the status, I would set the case on a flat surface and lift the end up slightly and let it fall back down. I love the charging case because the buds are always charged and ready for me to use, which makes the battery life feel like it’s infinite. It’s actually pretty close at about 17+ hours per recharge of the case itself. The earbuds can be used for about 3.5hrs for music, but recharging them only takes about an hour. 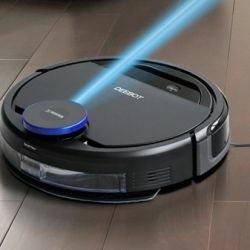 How do they sound for music and video? I used my Pixel 2 XL to do my testing of the Rowkin Ascent Micro earbuds along with streaming music services like Pandora, Spotify, and Amazon music. Music sounded good. I won’t say that these buds are fantastic and that autophiles should run out and buy a pair asap, but I enjoyed using them to listen to my favorite tunes. I also tested them while watching video on Netflix and noticed no problems with the audio syncing with the video. Again, audio sounded good. 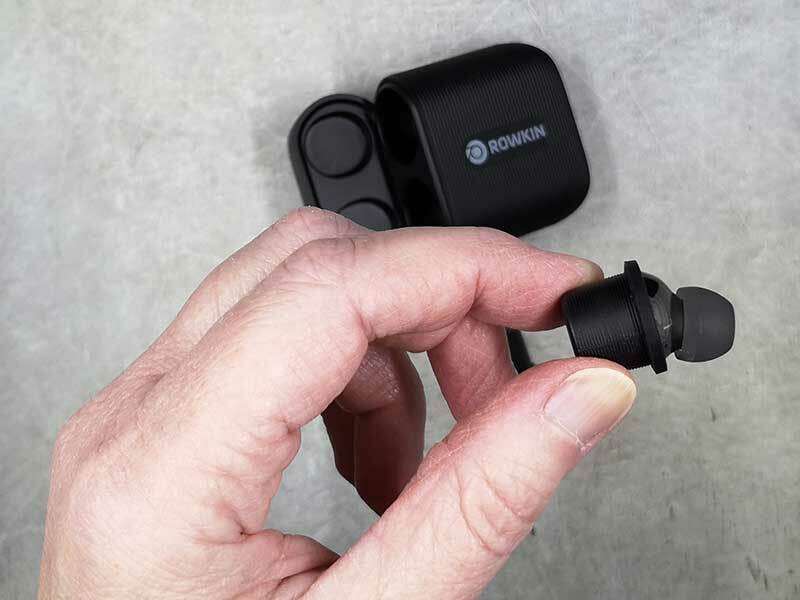 I’m very happy to report that I’ve yet to experience the issue I’ve had with other Rowkin earbuds in the past where the audio in one earbud will cut out for a second. This was always an annoying issue that would happen a couple times an hour, but after testing these earbuds over several days for hours at time, it hasn’t happened even once so it appears that using Bluetooth 5.0 and an LDS antenna has solved the problem. Touch controls appear to be a popular feature for earbuds these days and I have to say that I’m not loving the trend so far. 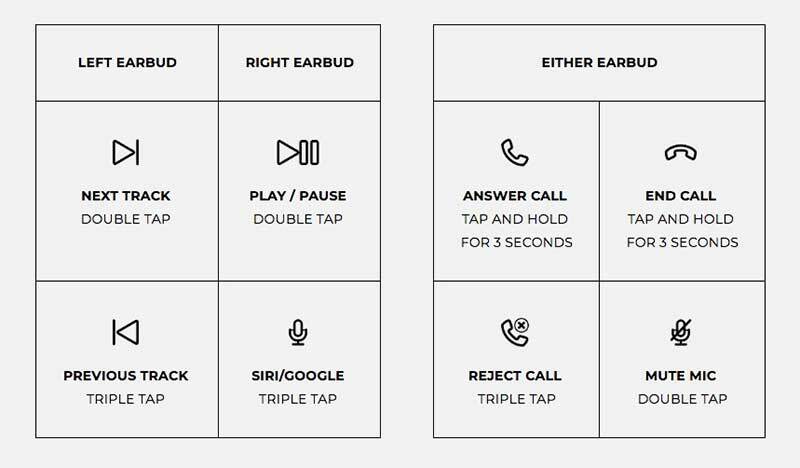 I much prefer physical buttons over capacitive buttons as 9 times out of 10, I’ll have to repeat the command before the earbuds decide to pay attention to my taps which I find annoying. 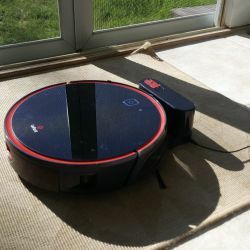 How do the sound for calls? For calls, my side (the Rowkin) side of the conversations sounded great. But on more than one occasion as soon as I would answer a call and start talking, the person on the other end would ask me where I was why I sounded so bad. Apparently, I sounded like I’d fallen down a well, or as Jeanne so eloquently put it, I sounded like crap. 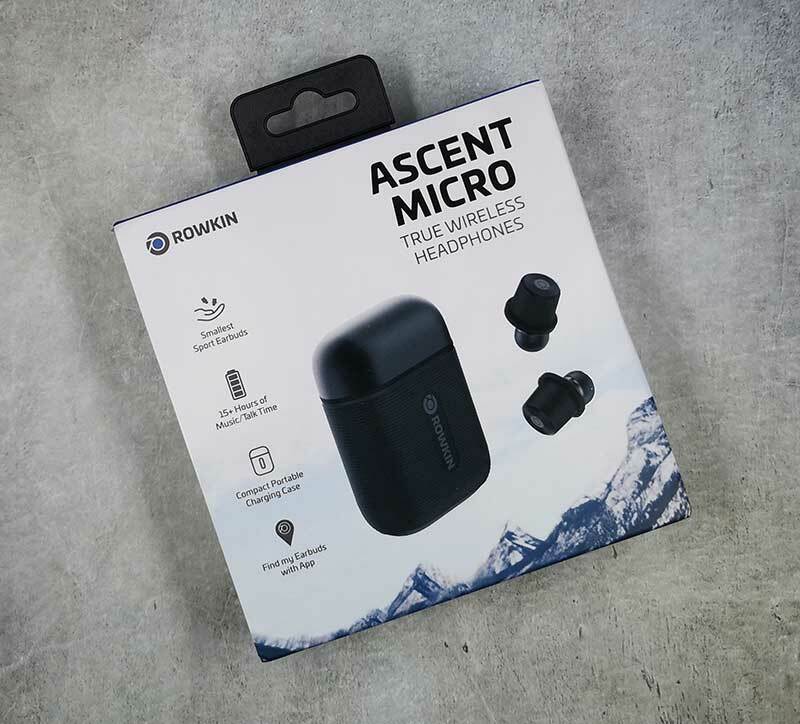 I’m happy to report that as of today, the Rowkin Ascent Micro earbuds are my favorite truly wireless earbuds. 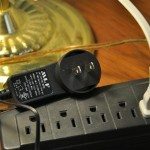 They power on almost instantly, pair quickly, sound good, fit comfortably, and conveniently charge in their storage case. 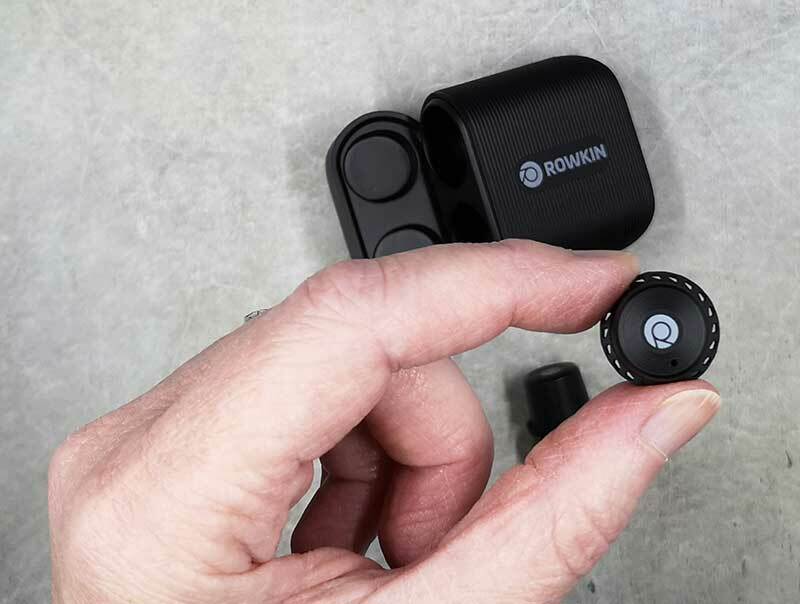 The only slight knock that I’ll give them is that they are a bit on the pricey side compared to the 100’s of other wireless earbuds that are flooding the market but with that said, I’ve tried a few of them and so far the Rowkin Ascents are beating the others in all other aspects. 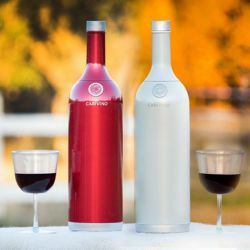 Source: The sample for this review was provided by Rowkin. 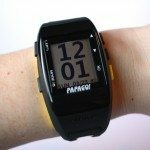 I created The Gadgeteer in 1997 as a fun way to share my passion for gadgets which began when I was a little kid. 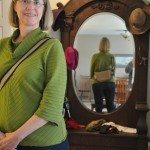 Some of my other interests include ukulele, photography, productivity hacks, and minimalism. 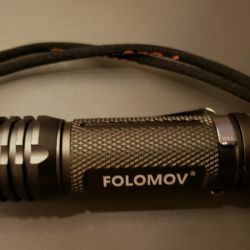 Learn more about me and my favorite gear. Hi Tim, are they brand new? Does the LED on the earbud that isn’t working come on? 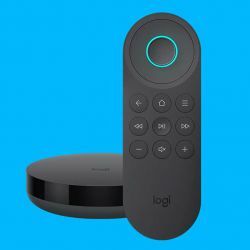 Click on the manual link on this page and go through the reset instructions. If that doesn’t help you should contact Rowkin.